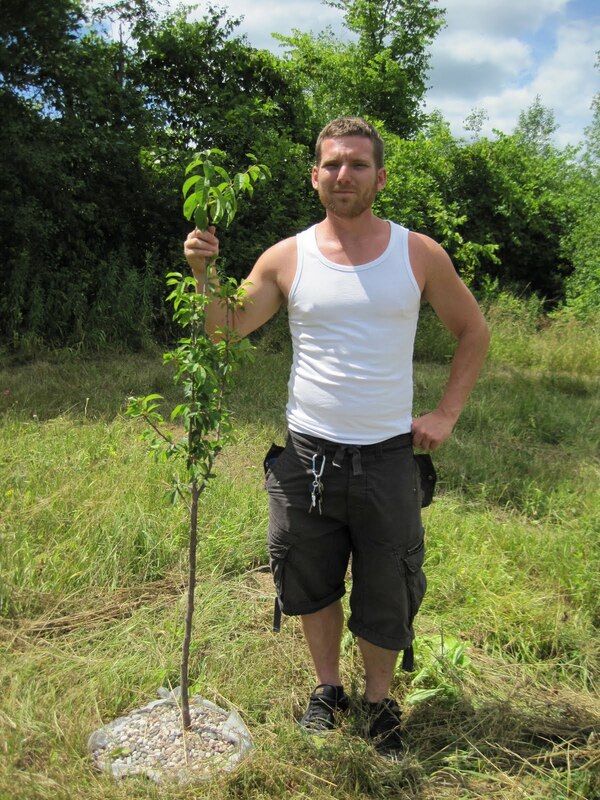 Our featured Local Producer for December 2013 is Hildebrand Farms, located in Long Sault, ON. In operation for three years, the Hildebrand family received their organic certification April of this year. In season, they offer pears, plums, cherries, and nuts. In addition, in 2014, they are hoping to offer a variety of berries including black raspberries, blueberries, raspberries and strawberries. Hildebrand Farms recently hosted students from St. Matthews Catholic School as part of a Growing Up Organic Farm-Gate Café. Bryan Hildebrand gave the students a tour of the farm, and provided some insight on how much planning is involved in such an endeavour. Read more about the Farm-Gate Café here.